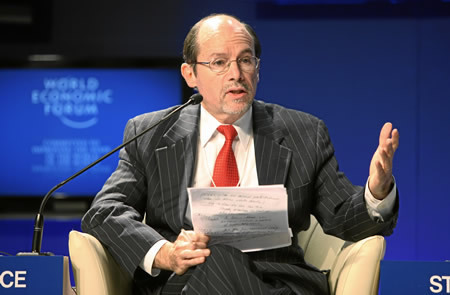 • At the 40th World Economic Forum Annual Meeting 2010, participants found that the global recovery is fragile, and now is the moment to rethink values as the world rebuilds prosperity. 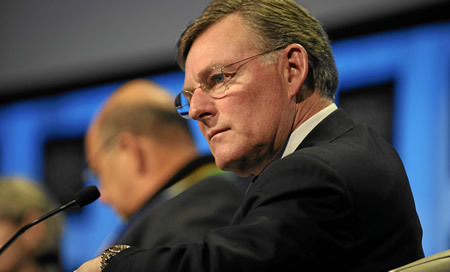 • All countries in the G20 and beyond should find new pathways to sustainable growth and job creation. • Concretely, Bill and Melinda Gates, Co-Chairs of the Bill and Melinda Gates Foundation, which is a founding partner of the GAVI Alliance, pledged US$ 10 billion to vaccinate over 8 million children in the next decade. 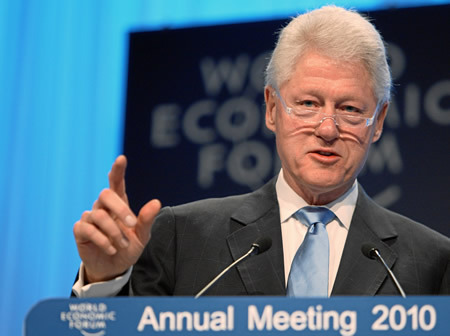 • Former US President William J. Clinton announced a joint initiative between the World Economic Forum, the Clinton Global Initiative and the UN to support Haiti's long-term reconstruction. • Canadian Prime Minister Stephen Harper, South Korean President Lee Myung-Bak, Mexican President Felipe de Jesus Calderon Hinojosa and French President Nicolas Sarkozy all set forth agendas for global engagement to prevent future crises and to promote sustainability and principled growth. • Since its launch 10 years ago, the Global Alliance for Vaccines and Immunisation (GAVI) has saved over 4 million lives and has immunized an additional 256 million children in the world's poorest countries. At the conclusion of the 40th World Economic Forum Annual Meeting in Davos, Switzerland, participants pledged to rethink, rebuild and redesign the global economy based on sustainable principles. 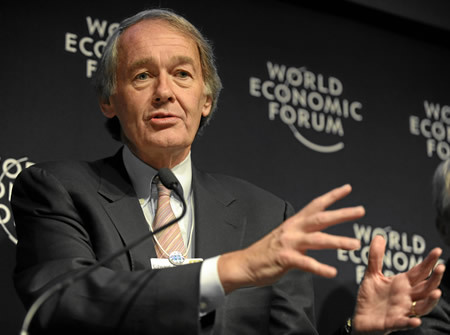 The sense of the Meeting, echoed by Lawrence H. Summers, Director of the US National Economic Council (NEC), was that the world was experiencing "a statistical recovery and a human recession." "We are not out of the woods yet," said Michael Oreskes, Senior Managing Editor of the Associated Press. "The recovery is still very fragile in many developed economies." Principled leadership is key to stabilization. 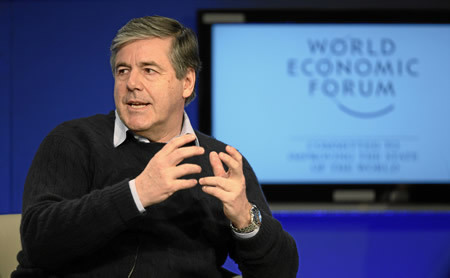 "At the end, it's an interdependent system," said Josef Ackermann, Chairman of the Management Board and the Group Executive Committee of Deutsche Bank; Member of the Foundation Board of the World Economic Forum; and Co-Chair of the World Economic Forum Annual Meeting 2010. "If you lose the support of society, you are not going to achieve your corporate objectives." Job creation is critical to sustainable recovery. 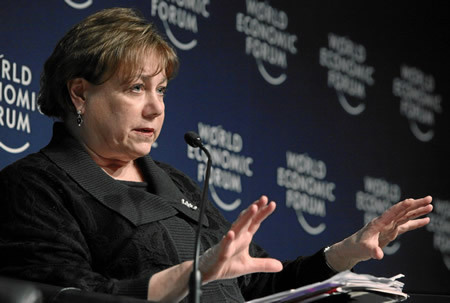 There is a role for all to play in job creation, underscored Patricia A. Woertz, Chairman, President and Chief Executive Officer of Archer Daniels Midland (ADM), and Co-Chair of the World Economic Forum Annual Meeting 2010. "And retaining jobs is as important as creating new ones." The recession also demonstrated that the world must hear better the voices outside of the G8. 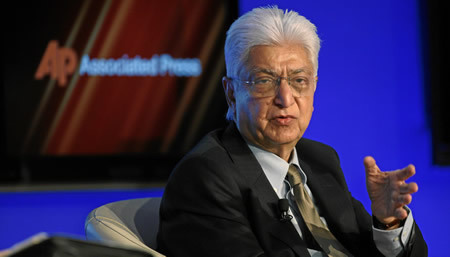 "The self-confidence of emerging nations is completely different," said Azim H. Premji, Chairman of Wipro, and Co-Chair of the World Economic Forum Annual Meeting 2010. He warned that in India and China "if services are put under severe, unreasonable restrictions, you will get tariffs overnight." "If you have lost the trust of societies, you cannot just respond technically, you have to respond morally," said Ackermann. Rowan D. Williams, Archbishop of Canterbury, United Kingdom, urged participants to take collective responsibility for the future by being individually responsible now. Living responsibly in the present means living within ecological limits to ensure the security of work and food. "Responsibility for the future means being responsible for a vision of humanity which excites and enlarges us," he added. Earlier, addressing participants in a session on "The US Legislative Agenda: A Global Perspective" at the World Economic Forum Annual Meeting 2010, US congressmen and senators confirmed that despite bipartisan differences, there is agreement that financial regulation is imperative. So, this spring, expect an energy package and "tough regulation" on financial services from the Obama Administration.